WASHINGTON — U.S. Secretary of Defense Jim Mattis personally intervened to increase the number of munitions being bought in the Pentagon's fiscal 2018 budget request, pushing procurement of six specific weapons to the maximum production rate industry can handle, a top Defense Department official said Tuesday. The Pentagon is requesting roughly $3.5 billion for "preferred munitions" as part of a plan to replenish stocks being used as part of the ongoing campaign against the Islamic State group. But that wasn't always the plan, said John Roth, the acting undersecretary of defense (comptroller) and chief financial officer. Speaking to reporters during the Pentagon's budget rollout, Roth said those programs were given a last-minute boost from Mattis himself. 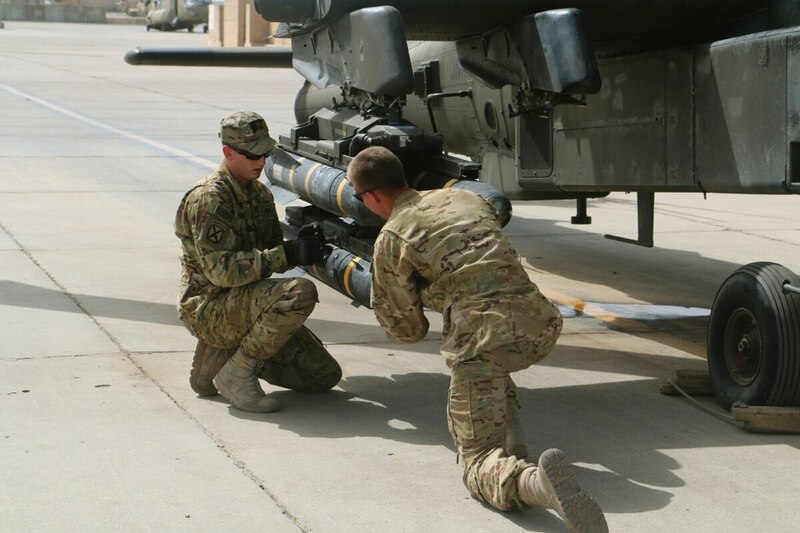 "As we closed out this budget, over the last two or three weeks in particular, a great deal of concern was being raised with current inventory levels, particularly given some of the expenditures in the [Central Command] area of operations," Roth explained. "So the secretary mandated and insisted we fully fund, to the maximum extent possible, the full production capacities for certain selected preferred munitions." In total, the Pentagon plans to request $16.4 billion on missiles and munitions — $8.1 billion on tactical missiles, $5.4 billion on conventional ammunition and $2.9 billion on strategic missiles. 7,664 Hellfire missiles, worth $713.9 million for Lockheed Martin. 34,529 Joint Direct Attack Munitions (JDAM), worth $874.3 million for Boeing. 6,000 Guided Multiple Launch Rocket Systems (GMLRS), worth $889.5 million for Lockheed Martin. 7,312 Small Diameter Bombs (SDB), worth $504.1 million to Boeing and Raytheon. 100 Tomahawk Missiles, worth $381.6 million for Raytheon. An unlisted number of Advanced Precision Kill Weapon Systems (APKWS), worth $200 million. Roth later repeated that these numbers represent the maximum production capabilities for the companies that produce them. That breaks down to rough production totals of 638 Hellfires, 2,877 JDAMs, 500 GMLRS, 609 SDBs and eight Tomahawks capable of being produced every month. However, a Raytheon spokesman tells Defense News that the Tomahawk line requires an annual production of 196 weapons as a minimum production rate, and that the company is capable of producing "many more" than that if needed. The Pentagon estimates it has spent $2.8 billion worth of munitions between the start of the counter-ISIS operation on Aug. 8, 2014, and the end of March 2017. In December, Deputy Secretary of Defense Bob Work told Defense News that munitions were going to be a focusof the FY18 budget request. Speaking later in the day, Air Force Maj. Gen. James Martin Jr. noted his service’s munition reserve remains "challenged" by the pace of ongoing operations. "Based on current demand, as we’ve talked about on the previous slide, we will put an emphasis on replenishing our weapons inventory. Continuing what we started in FY17, again we are buying preferred munitions to capacity," he said. Valerie Insinna in Washington contributed to this report. This story was updated 5/25/2017 at 10:00 AM EST with comment from Raytheon.